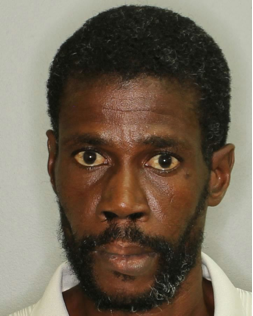 Police are seeking the assistance of the general public in locating Kester Raymond, 44 years, unemployed of Soubise, St Andrew. Raymond is wanted by officers at Grenville Police Station for questioning in connection to a series of house breaking offences. Anyone seeing this man or has any information about him is asked to contact C.I.D. on telephone 440-3921, 3999, 2266, Grenville Police Station at 442-7224, 438-3456/7, or Police Emergency 911, or the nearest police station. Raymond may be armed and dangerous and should be approached with caution.